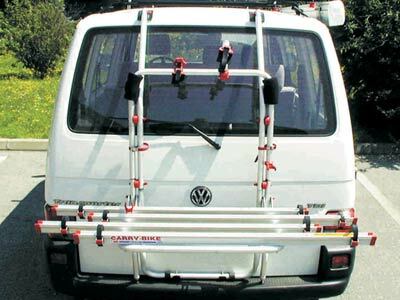 The Fiamma Carry-Bike VW T4 bike carrier has been specially designed for Volkswagen T4 minivans / camper vans with single rear door. 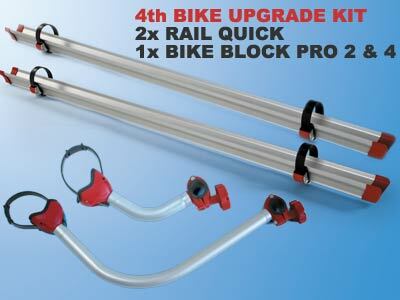 Easy installation with the standard delivered brackets. 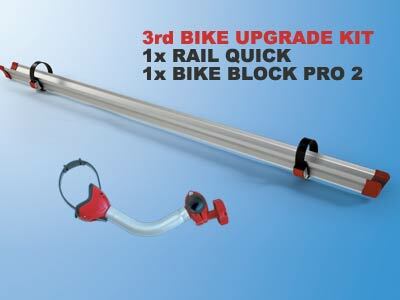 VW T4 Carry-Bike, suitable for Volkswagen T4, California, Coach, Caravelle and Multivan from 1990 to 07/2003. 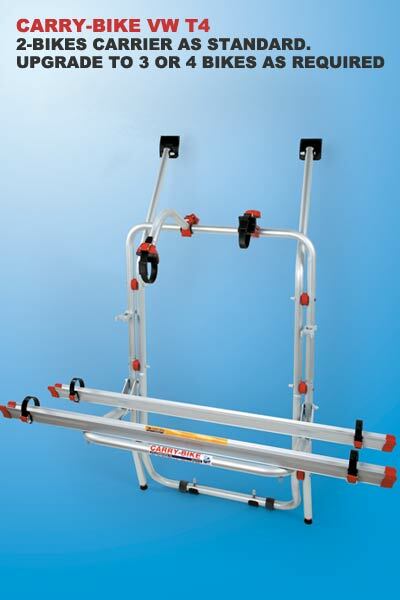 Simply hooks over and under the rear tailgate without the need to drill. The door can remain in use when the bikes are fitted, although it will need support when opening.